After a few weeks of fun and excitement, we were back to basics with the 5 of us jamming the Dead in the standard small studio with no guests to be seen or heard. Even though it was like 88 outside and the temperature was set to be 65 in the studio, the air never seemed to go above or below 72 so we had 72 on our minds. Alan’s first show was Roosevelt Stadium 1972, I think he said, so when we were seeking guidance we had no furthur to look than the thermostat on the wall. I guess we didn’t need guidance for the first song cause we hurled up to the 80s with a Stranger to open the silky, silky crazy night. Following that we wore our converse and played the Loser, Sugarree, Hurts Me Too, Looks Like Rain and Morning Dew all in association with 1972. We ended our little first set segment with a quick Don’t Ease. We ended the second segment with a transition into the Music Never Stopped which was started by Scott drumming with Kevin following his lead, but I can’t say I thought Scott was intending to go into that Music. He usually is much more aggressive in his Musical interpretation of Music than what I heard last night. In any case, it was pretty quick and hot. I forget what we opened the closing portion of the night with but we finished at midnight with the Struggling Man and as tricky and struggling as that song is, I thought we did pretty well with it. It was definitely a tiring day at work following the jam and I know Alan’s wrist was bothering him from the jam so we all realize the sacrifice and toll Deadstein puts on us physically, emotionally and financially. 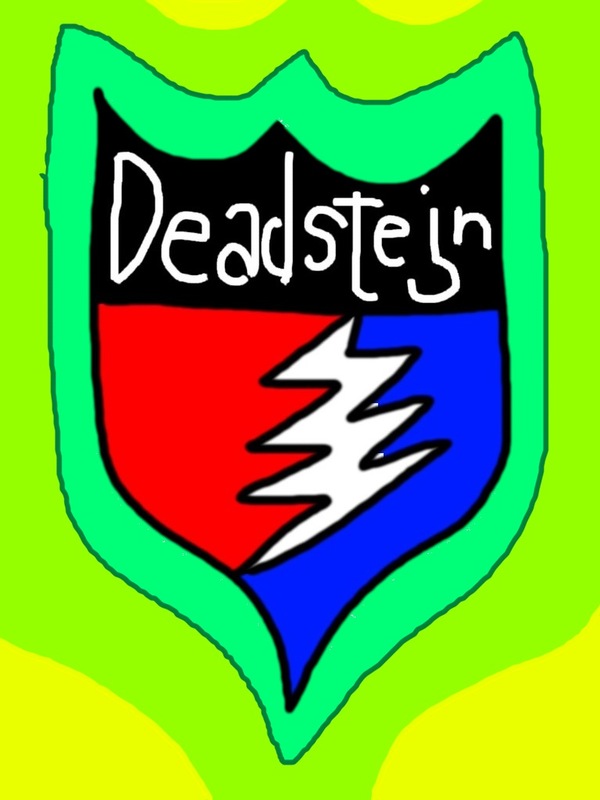 What else would we save it for but the Dead, so we might as all take out of it whatever we can and and enjoying the living Dead known as Deadstein. The “living Dead”, damn that’s good. I wish I thought that. It does take it’s physical and financial tolls, but emotional it is uplifting and rejuvinating, at least until we wake up in the morning, though it’s not long before we are jonesing for the next jam. Alan, very nice lead on the hurts me too! Thanks, though your’s kills. The overdrive pedal is new, I’m still trying to learn to train the beast, and to remember to add vibrato teach note. Have been thinking of you all…espe…especially since I have been spending so much time in San Francisco…the music resonates strongly.